After PM Netanyahu speaks with Russia’s Putin regarding Moscow’ announcement to supply Syria with S-300 anti-missile system, Security Cabinet to convene Tuesday to discuss issue. 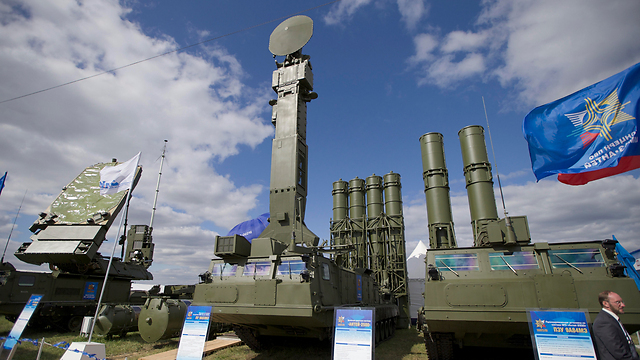 The Security Cabinet will convene on Tuesday at the Prime Minister’s Office amid the raised tensions between Israel and Russia following Moscow’s announcement it will supply an S-300 anti-missile system to Syria within two weeks. Russia’s announcement comes a day after its defense ministry presented the findings of its investigation into the downing of the reconnaissance plane, which concluded that Israel bears responsibility for the aircraft’s shooting down that killed 15 crewmen. During the one-hour Security Cabinet meeting, ministers will be updated on recent developments. Shortly after, Prime Minister Netanyahu will depart for New York to attend the United Nations General Assembly. On Monday, President Vladimir Putin said while speaking with Netanyahu on the phone that Russia’s actions were aimed at protecting its military, according to the Kremlin statement. 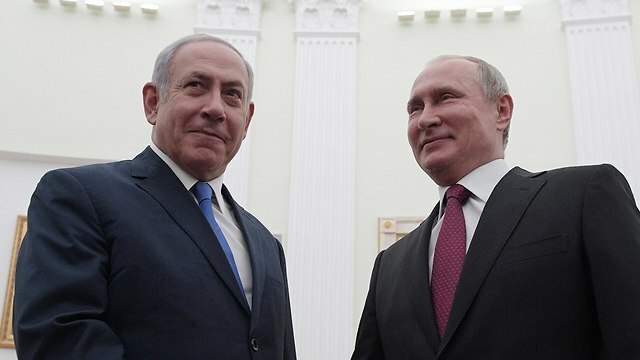 Netanyahu told Putin that “transferring advanced weapons systems into irresponsible hands will increase the dangers in the region,” adding “Israel will continue to defend its security and its interests,” According to a statement released by the GPO. He also blamed the Syrians for the downing of the Ilyushin IL-20 plane after an IAF strike in Latakia, despite Russia’s conclusions that Israel bears responsibility for the incident. “Both leaders agreed to continue dialogue between the professional teams and the inter-military coordination via the military channels, and Netanyahu reiterated his condolences over the 15 crewmen killed in last week’s incident in Latakia,” the GPO added. Meanwhile, US National Security Adviser John Bolton said on Monday that Russian plans to supply Syria with an S-300 missile system would be a “significant escalation” by Moscow and that he hopes it will reconsider. Bolton added Iran is the one to blame for the attack in Syria and the downing of the Russian plane. On Sunday, during a press briefing, ministry spokesman Maj. Gen. Igor Konashenkov said the heads of the IDF do not appreciate the relationship with Moscow. “The military leadership of Israel either has no appreciation for the level of relations with Russia, or has no control over individual commands or commanding officers who understood that their actions would lead to tragedy,” Konashenkov elucidated. “The actions of the Israeli fighter pilots, which led to the loss of life of 15 Russian servicemen, either lacked professionalism or were an act of criminal negligence, to say the least,” he opined. This entry was posted on September 25, 2018 at 5:42 AM and is filed under Uncategorized. You can subscribe via RSS 2.0 feed to this post's comments. You can skip to the end and leave a response. Pinging is currently not allowed.